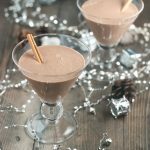 A fun twist on the classic eggnog, this healthy chocolate eggnog is dairy free, refined sugar free, and paleo for a fun, healthier option this Christmas! 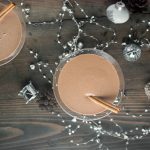 I thought I was soooooo clever thinking of adding chocolate to eggnog. It hit me while making a protein shake. Guess what? I'm not the first person to do this. Thanks a lot, Google. The last time I realized that I wasn't the first person to come up with a really different combination was when I made banana mashed potatoes. Yup, there are a bunch of recipes for that on the internet. Goes great with pork FYI. Holley and I do come up with a number of combinations that Google doesn't spoil with pages of similar results, though. Bacon Banana Scrambled Eggs. Orange Chocolate Chili Chicken Wings – amazing with mole sauce BTW. Anyway… I didn't see any other dairy free healthy chocolate eggnog. Take that Google! Alright. I sure showed them! What was I talking about? Christmas? I dunno. What are you doing for Christmas? 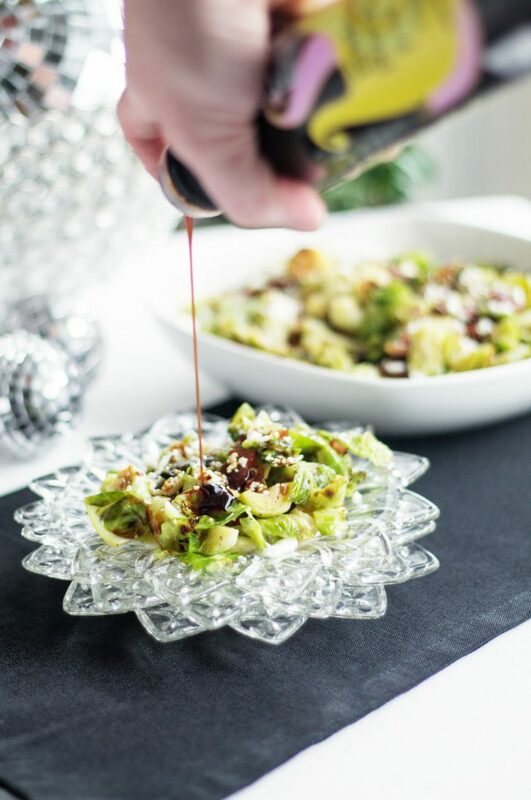 Paleo dinner? Traditional turkey? Does the whole family help with the meal? Are you one of those Chinese-restaurant-for-Christmas families? Does your family drink eggnog? Probably if you're reading this, I suppose. Any other cool traditions? My family always takes a family photo over the holiday. Recently we've decided to take fun photos. You might remember the superhero photo? I can't tell you what this year's will be, but we've got ideas brewing. Any suggestions for next year? 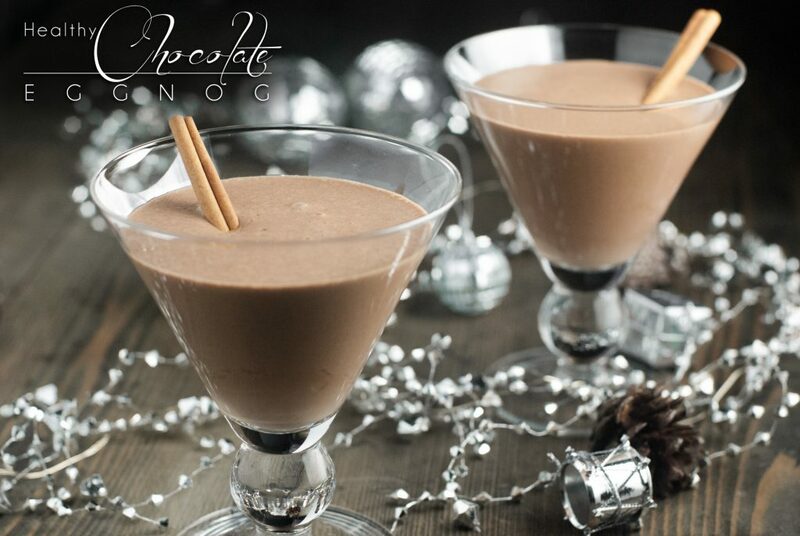 Until then, how will you use your Healthy Chocolate Eggnog? Straight up? In protein shakes? With spiced rum or bourbon? In coffee (chocolate eggnog latte? Or would that be called an eggnog mocha?)? Want to try non-chocolate version? 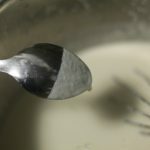 Try the Dairy Free Eggnog. Try it in your coffee. And serve it with whipped coconut cream and sprinkled with chocolate shavings, even some orange zest. 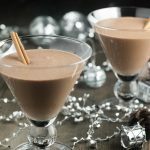 Mix in remaining ingredients (cinnamon, nutmeg, vanilla, cacao, and booze). Remove from heat. 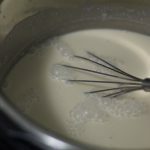 Whisk in remaining cashew milk, cinnamon, nutmeg, vanilla, cacao powder, and alcohol (if using). The eggnog looks pretty yummy. Now you have me wondering what you two have come up with for the family photo?!?! I love this chocolate version! It sounds delicious! I love Eggnog and this is straight up genius! Chocolate eggnog + rum is so happening over here. Oh gosh I don’t know why I never thought to make it chocolate! I am not a huge eggnog fan but I could totally get into this! It’s been in my spot for over 1.5 hours on the settings in the recipe and it’s still not thickening up. Used almond milk. I’ll cook it for another 30 minutes and see what happens. I’m sure it’ll still be good, but I think I would have halved the recipe for the first time making it. Thanks for the recipe.